Temporarily called the Ultra Game Boy while it’s still in development, the name is actually a perfect description of Hyperkin’s hardware, which improves on Nintendo’s original Game Boy in countless ways, without affecting the classic gameplay many of us remember. The aluminum housing makes Hyperkin’s Game Boy feel like a tank, but hopefully your parents have kept all your original cartridges. The Ultra Game Boy’s housing is made from aluminum, which has a wonderful heft when you pick it up. Your original Game Boy is probably covered in knicks and scratches, but it will take a lot of abuse for Hyperkin’s remake to start showing wear and tear. The Ultra Game Boy carries over the original’s volume and contrast dials, but the final version will include a third dial allowing you to adjust the portable console’s new backlit LCD display through the entire RGB spectrum. That backlight can also be turned off, if you want a truly authentic, squinty, Game Boy experience. 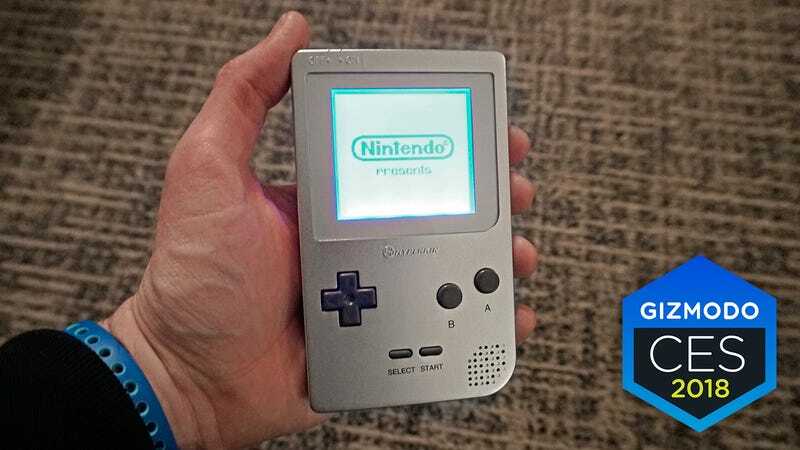 New features for the Ultra Game Boy will include a built-in six-hour battery, a USB-C port for charging, as well as a pair of stereo speakers, and left and right audio-out connections. Why the improvements to the Game Boy’s sound system when all of its classic games only generate mono sound? Aside from appealing to retro gamers, Hyperkin’s Ultra Game Boy is also being customized for chiptune musicians who use the classic console to create modern electronic tunes. Yes, it’s a thing, and a very popular thing. 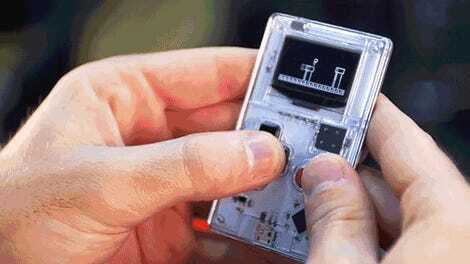 Who will be the first to put a Game Boy back in everyone’s hands? Hyperkin, or Nintendo? Hyperkin is hoping to have the Ultra Game Boy, or whatever it ends up being called, ready for late Summer this year, with a price point of under $100. It sounds like Nintendo has a lot of catching up to do now, but the one thing Hyperkin’s classic console will be missing is built-in games. It can play all of your classic Game Boy games, and possibly even your Game Boy Color carts, but you’ll have to supply all of the original cartridges (I can already hear their prices shooting up on eBay!). That could make it less appealing to some, but it won’t be stopping me from rekindling my love with my original gaming obsession.